What I’m about to write will probably get me into trouble: I’m deeply persuaded that there’s entirely too much mediocrity in the church of Jesus Christ when it comes to pastors preparing and delivering their sermons. I’m tired of hearing boring, inadequately prepared theological lectures, delivered by uninspired pastors reading manuscripts, regurgitating their favorite exegetical commentaries, recasting the sermons of their favorite preachers or reshaping notes from one of their seminary classes. There, I said it. Now I need to unpack it. 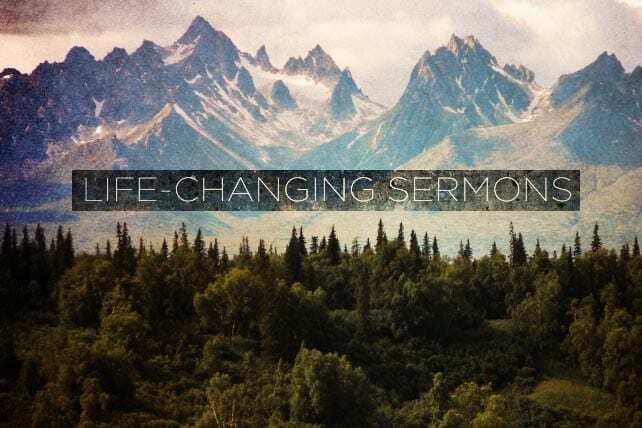 Today, I want to look at five areas of preaching—the importance, the preparation, the delivery, the uniqueness and the awe—and then give you an opportunity to interact with me. Just like with my Manhood Article, I’m opening the door to your questions. If you have a question about preaching, send me an e-mail: [email protected] I’ll be answering them on video sometime in June. Every worship service is an all-out war for the hearts of the people gathered. The bottom line is this: Will the hearts of these people leave captured by the one true glory of God or distracted by the temptations, fears and difficulties of the fallen world? As the preacher for that service, I want to do everything I can to be used of God to capture their hearts with the rescuing glory of God’s grace, the insight-giving glory of God’s wisdom, the hope-giving glory of his love, the empowering glory of his presence, the rest-giving glory of his sovereignty and the saving glory of his Son. As pastors, we have to fight for the sanctity of preaching; no one else will. We have to demand that our job descriptions allow for the time necessary to prepare well. We can’t set low standards for ourselves and those we shepherd. We can’t be self-excusing and self-accommodating. We can’t, because we’re unprepared, let his splendor appear boring and his amazing grace appear ordinary. In other words, we can never settle for anything less than our best. There’s no room for mediocrity in the pulpit. Preaching is that important. Preaching is all about accurately exegeting and understanding the truths of the gospel as they unfold in a particular passage of Scripture and practically applying those truths to my life and to the lives of those whom I will speak into.